Would You Rather questions are a fantastic tool for encouraging critical thinking in the classroom! Personally, I’m a big fan of these types of questions and have come up with lists of questions for tons of different holidays, books, and more! In this post, I’m sharing my free “Would You Rather” questions for spring and Easter! 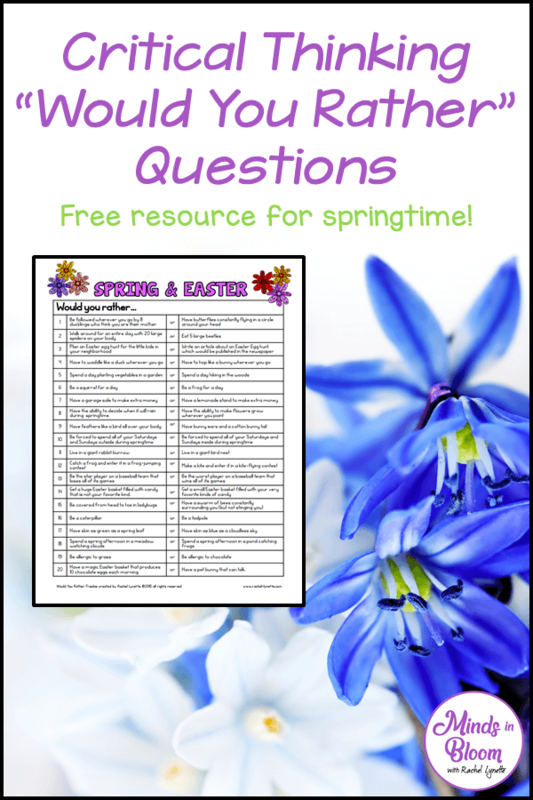 Click here to download your free “Would You Rather” questions for spring and Easter! 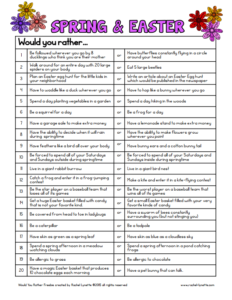 “Would you rather” questions are such a versatile tool, and this list of questions can be used in any elementary school or middle school classroom. I recommend using these questions for discussion prompts; you can even make it kinesthetic by having students walk to one side of the room or the other to demonstrate which option they choose. Once students have chosen their sides, you could ask a couple of students — one from each side, for example — to explain why they chose their side. Another way that you can use these questions in your classroom is to use them as writing prompts. 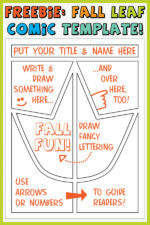 You could select a handful of questions from the list and assign them as journal prompts for a school week. Or, you could assign them as informal writing assignments for homework. 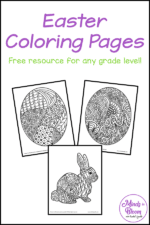 There are lots of possibilities with these! The one thing I’ll emphasize with questions like these is that, while they can be fun to think about and discuss, you really want to encourage students to engage their critical thinking strategies. Push them to not only choose an option but also to explain why they chose that option. Avoid letting students off the hook with vague responses like, “That’s just how I feel,” “I don’t know,” or “I picked this because that’s what my friend picked.” These questions give students great opportunities to practice critical thinking and, a lot of times, creative thinking! It stretches their brains. If you’re looking for more writing prompt resources, then you’ll want to click over to check out these free Halloween writing prompts!